Root Cause Analysis Workshop is a comprehensive and dynamic three-day RCA Workshop will offer new ways to view and address challenges such as: root cause analysis, prioritizing issues, effective problem solving methods, corrective actions, implementing solutions, increasing success in a virtual environment, honing practical communication skills, properly dealing with conflict and change, and process improvements. Root cause analysis workshop training course concludes by emphasizing the need for problem-solving teams and providing an opportunity to practice creating a team that will investigate a case problem. We also explore the different roles and responsibilities utilized when solving problems using a structured approach. Find root causes, differentiate between people, processes, procedures and policies, select and use RCA methodologies , implement corrective actions, prevent any recurrence, and recommend process improvements. Working through scenarios, participants will assess their own problem-solving skills and experience how tempting it is to jump to solutions or try to fix the problem without investigating and understanding all the underlying causes. Formal problem-solving approach for finding root causes and implementing effective and lasting solutions that eliminate the problem. 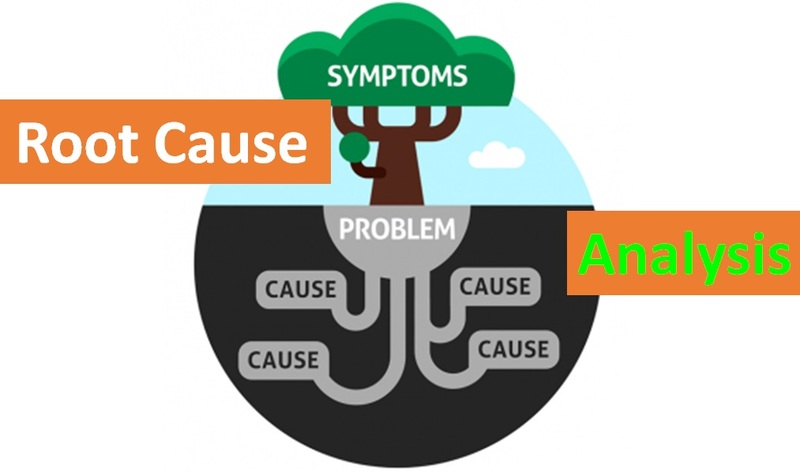 Participants will conduct a root cause analysis using problem-solving tools presented and demonstrated. Both internal and external failure, customer complaints is reviewed. Teams use these tools to identify, analyze and determine root cause and ultimately solve the issues. Understanding is gained through practical, hands-on exercises using common measurement gauges. Problems are introduced to demonstrate the typical formats for reporting the findings, applying solutions, corrections and improvements.